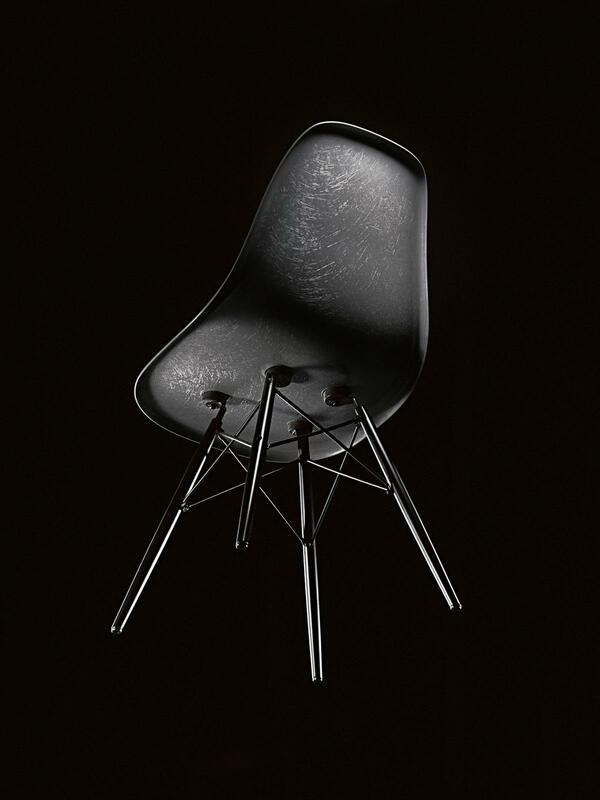 In 1950, the Fiberglass Chairs by Charles & Ray Eames were released on the market as a collection with different bases and in many colours - a small step for Charles & Ray, a big step for the world of furniture design! The fiberglass chairs were the first chairs in which legs and seat shell were made separately and then bolted together. Thus, a multifunctional chair type was born in which the base frame and seat shell can be combined with each other as desired. 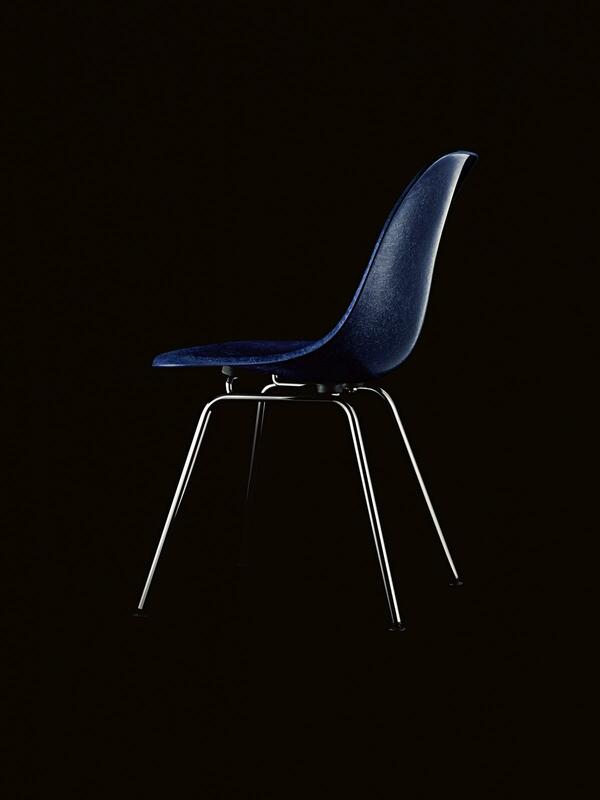 In addition the novel chair was the first mass-produced plastic chair; thus it comes as no surprise that the Eames Chair, which has so strongly influenced American furniture design, is considered one of the great 20th century design classics. Fiberglass fascinates above all through its irregular surface, a surface which looks almost like a natural material thanks to its visible fibers. 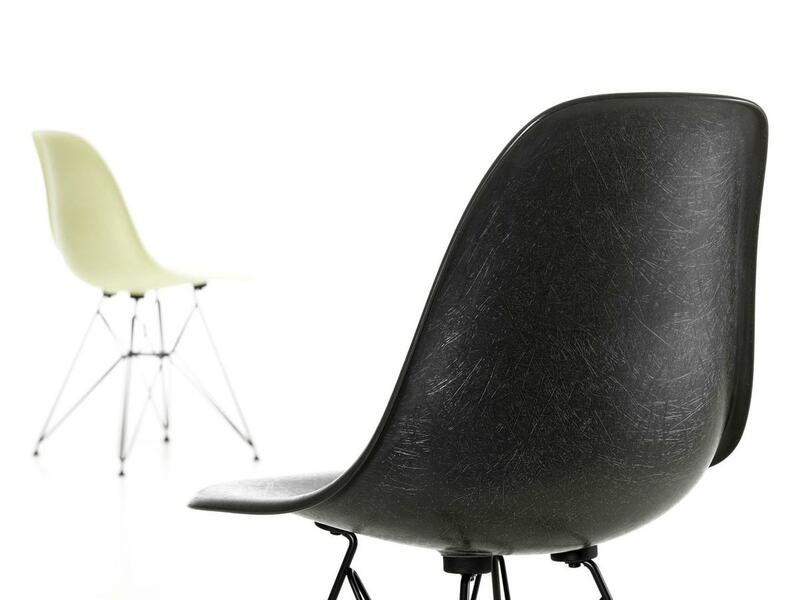 Exactly this tactile and visual experience makes the Fiberglass Chairs so popular with collectors. The original production process was discontinued as it was technically obsolete and no longer economical - but the fascination remained at Vitra as with Eames lovers. 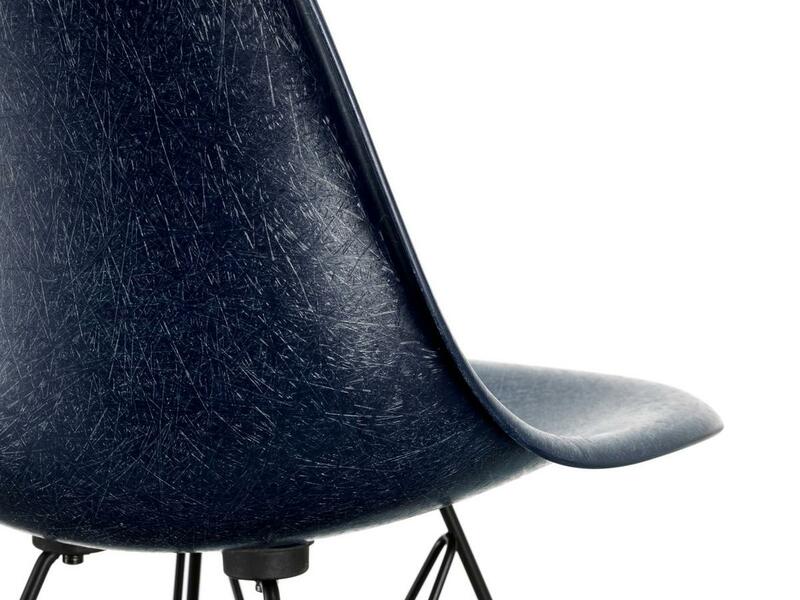 Following intensive research Vitra has now brought the Eames classic back to life: thanks to the latest high-tech production methods, it is now possible to produce the Eames fiberglass chairs in their original material! Design connoisseurs can enjoy the Fiberglass Chairs in six of the original colours that, with their vibrant, irregular texture and cool retro shades, conjure up a touch of fifties in any room - be it in the home, object or exhibition space. Test the chairs and experience the fascinating look and feel of the Eames classic live in our smow stores or order the legendary Fiberglass Chairs by Charles & Ray Eames in the smow online shop and have your new design icon delivered to your home. 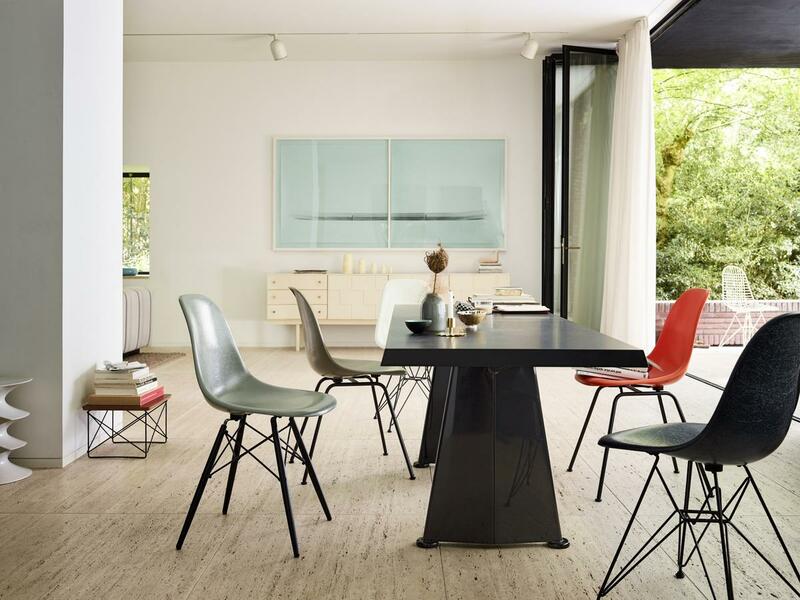 The original Vitra Fiberglass Chairs are the perfect match for the Eames Plastic Chairs and because both series have the same wooden, Eiffel Tower or four-legged bases are equipped, they also have the same seat height. Fans of Charles & Ray Eames armchairs will have to wait a little longer but ... A new edition of the revolutionary Eames Fiberglass Armchairs will soon be available from Vitra! The designer couple Charles & Ray Eames are probably the most famous and influential designer couple of the 20th century. Together, they created numerous revolutionary pieces of furniture and committed themselves to making good, affordable design for everyone. 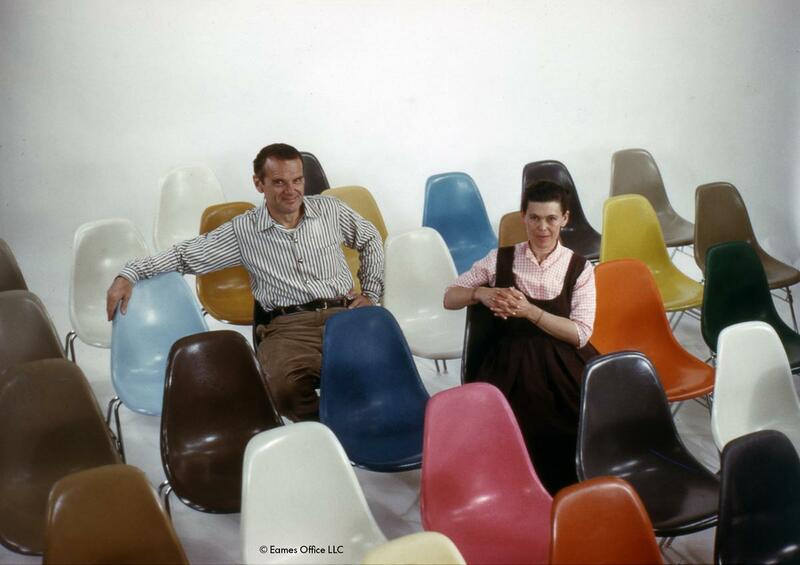 Thereby Charles Eames and his wife Ray re-wrote the history of design again and again: In addition to the Fiberglass Chairs they developed with their team in the Eames Office many more icons. When not working on new furniture prototypes and experimenting with new materials and colours, they shot films, photographed or conceived exhibitions. 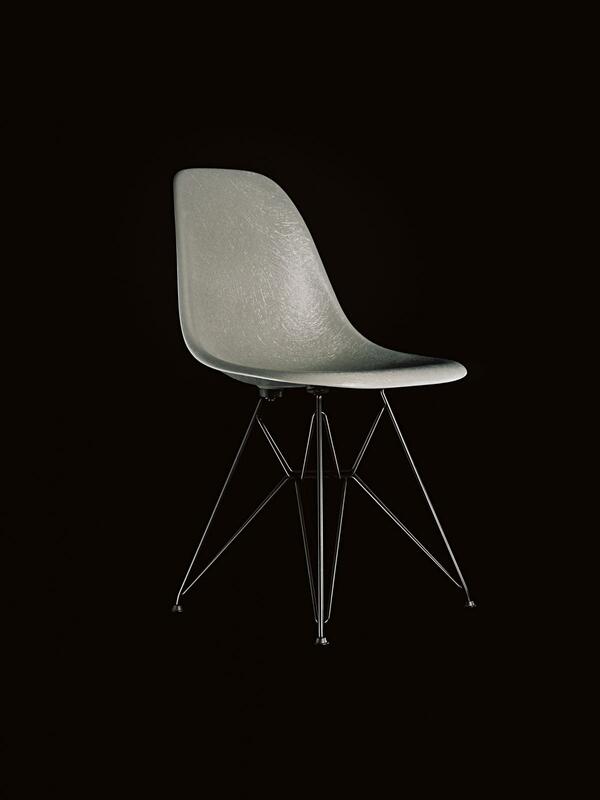 All of which ade the Americans legends of design history, with their early designs, such as the Fiberglass Chairs, holding the status of coveted collectors' items. «I never stopped painting. I just changed my palette» - Ray Eames and her husband Charles spent many days creating the perfect colour world for the Eames Fiberglass Chair.